Damage to cartilage is a very common condition. well as in daily doing. Cartilage damage is one of the most common orthopedic problems. Sooner or later, this condition affects almost everyone. When age-related wear and tear on the joints begins, cartilage degeneration is an unfortunate result of the normal passage of time. Above all, active and athletic individuals can be affected by cartilage damage, even at an early age. But there is good news: through early diagnosis and targeted therapy, cartilage damage can be treated successfully and long-term impairment can be prevented for as long as possible. As in most cases, a combination of the attending physician’s experience and the most modern of medical treatment methods is the key to success. 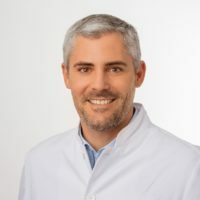 The joint experts at ECOM® Excellent Center of Medicine are specialized in the treatment and therapy of cartilage damage and are recognized nationally and internationally as consultants of choice. How is cartilage damage treated? In principle, cartilage damage can affect any joint, but the joints most commonly affected are the knee and hip joints. The possibilities for treatment of cartilage damage are defined by the sort of joint affected as well as the individual scope and depth of damage incurred. As such, standard solutions are not a viable option. Definition: What is joint cartilage? Joint cartilage is an important component of the joint itself. It covers the surface area of the bon and acts as a shock absorber: It absorbs impact and prevents the bones from coming into direct contact. As long as the joint cartilage is intact, this system functions optimally. Cartilage damage usually results from improper strain or overburdening, abnormal or improper posture, or as the aftereffect of trauma. Lack of exercise also has adverse effects to the joint cartilage, as movement stimulates the natural supply of nutrients to the cartilage. A specific problem encountered in the treatment of cartilage damage is the lacking ability of the cartilage tissue to regenerate: cartilage cells are, by nature, not capable of regeneration. Self-healing is not possible, contrary to the processes which take place in bones and muscles. As such, the treatment of cartilage damage is one of the greatest challenges faced in the field of modern orthopedic medicine. Experience and competence, in combination with the use of the most modern of medical methods and standards, are the prerequisites for successful treatment of cartilage damage. The causes for cartilage damage differ. A fundamental differentiation is made between acute and chronic cartilage damage. Acute cartilage damage is often the result of an injury. In such cases, the cartilage is usually mildly or heavily affected in only one area. As a rule, young or physically active patients are affected. Continual improper strain or overburdening during athletic activity can lead to chronic cartilage damage. Chronic cartilage damage is the result of continual wear and tear. This type of damage is usually more widespread and located in different areas. The root causes for wear and tear on the cartilage differ from individual to individual. On the one hand, they depend on the type and intensity of the trauma and the amount of physical strain experienced, on the other hand the quality of the cartilage itself plays a part. In addition, obesity and misalignments such as bowed legs or knocked knees can lead to premature wear and tear. Cartilage damage may be quite painful, but paradoxically this is not always the case. This is because the cartilage itself completely insensitive to pain. As a result, cartilage defects are often first noticed after the cartilage layer itself has eroded and been destroyed, and the bones chafe against one another, unprotected. 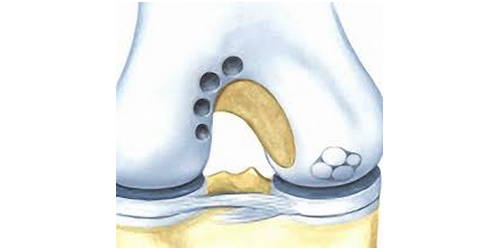 A decisive factor for the types of symptoms experienced as a result of cartilage damage is the location of the damage. If the defects are located in joints which are heavily burdened, symptoms are more probably than in areas which are subjected to lesser amounts of strain. In addition, critical variables for symptoms of cartilage damage are the extent and/or size of the defect itself. The crux of the matter when treating cases of cartilage damage is: the ability of cartilage to regenerate is extremely limited. Once cartilage is damaged, it rarely regenerates itself. Injured or damaged cartilage does not grow back in its original form. To make matters worse, damage to cartilage –if left untreated – usually spreads. In many cases, if diagnosed in a timely manner and treated properly, spreading of cartilage damage and long-term consequential damage can be prevented. Each case of cartilage damage is individual and must be treated as such. Decisive factors for appropriate treatment are the extent of damage, the quality of the cartilage itself, the patient’s age and his/her individual stress level. Young, active people or athletes are usually treated with more specialized methods in order to mobilize and restore personal exertion levels and mobility. The joint experts at ECOM® Excellent Center of Medicine implement highly specialized methods, which can be used singularly or in combination, for the individual treatment of cartilage damage. In the early stages, conservative methods of treatment for cartilage damage can help to prevent worsening of the joint status. Usually, these treatment methods are a combination of physical therapy, medication, and orthopedic aids which facilitate stabilization. For younger patients, and in cases where cartilage damage is still in its early stages, innovative methods can lead to cartilage regeneration. The body’s own self-healing processes are tapped into, which can heal cartilage damage using the body’s own natural resources. 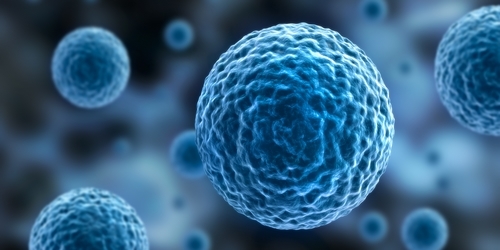 Several possibilities are stem cell therapy (using autologous stem cells taken from blood or adipose tissue), micro-fracturing, cartilage cell transplantation and/or cartilage transplantation. Cartilage smoothing/cartilage smoothing via arthroscopy (also known as cartilage debridement or shaving) is a method in which torn or frayed cartilage fibers are removed and/or smoothed, preventing further tearing or fraying. 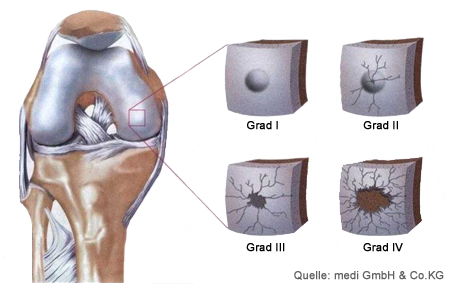 In many cases of cartilage damage to the knee joint, additional damage to the meniscus is found. In such cases, within the scope of joint cleansing, the damaged meniscus tissue is either removed and smoothed (Meniscus smoothing/ partial meniscectomy) or sutured (meniscal suturing). Meniscal suturing is recommended in particular for younger and/or athletic patients, as this method of treatment allows retention of the entire meniscus. Micro-fracturing refreshes the cartilage foundation and facilitates the generation of replacement cartilage tissue. This method is especially recommended where smaller defects are found, in which little or no cartilage remains and bones are completely exposed. In these exposed areas, an evenly spaced pattern of millimeter-deep holes are stamped into the bone. These artificially induced defects stimulate the underlying bone marrow to generate cartilage tissue. During this process, a substance similar to blood, containing stem cells, is exuded from the stamped holes, forming replacement cartilage tissue. This replacement cartilage tissue repairs the original cartilage damage, but is not as robust as the original cartilage tissue. Cartilage transplantation is also known as cartilage-bone transplantation, osteochondral transplantation or mosaicplasty. When cartilage transplantation is performed, fragments of cartilage are removed from lesser burdened areas and introduced into damaged sections. This method is used in cases of minor, locally-constrained cartilage damage. As a general rule: the smaller the defect is, the better the chances of successful treatment are. In addition, the patient’s age plays a major factor in successful treatment. As the healing process in the joint becomes less effective with increasing age, this method is usually only recommended and implemented for younger patients under 50. Furthermore, no accompanying damage to the joint may exist, such as meniscus damage. Extreme obesity can also have a negative impact on chances for successful treatment. When implementing the cartilage cell transplantation method, cartilage damage is sealed using cartilage cells which have been cultivated in a laboratory. 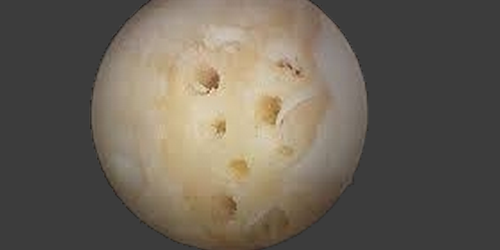 In a preliminary procedure, healthy cartilage cells are harvested form an intact joint. Subsequently, these cells are reproduced using specialized medical laboratory processes. After a period of two to three weeks, the matured cartilage cells have achieved the desired size and quantity, and can be introduced into the area of damage in a second surgical procedure. Cartilage cell transplantation is suitable for younger patients with recently experienced traumatic cartilage damage. However, this highly-specialized, time-consuming procedure and the resulting expense are covered only by selected private health care providers. If cartilage damage is pronounced, or if preservative or regenerative forms of therapy prove unsuccessful, an artificial joint is the most viable method of treatment. Endoprosthetics are among modern medicine’s most important achievements, and joint replacement is one of the most commonly executed forms of orthopedic surgery. Joint replacement surgery restores patient mobility and quality of life, and in many cases can give the patient a new life entirely. Experienced specialists can draw upon a wide range of endoprosthetics and help determine the appropriate timing for joint replacement surgery on an individual basis. After cartilage surgery, rehabilitation takes on a vital and meaningful role. Joint cartilage itself is not connected with the circulatory system and as such does not receive nutrients directly through blood circulation. This task is executed by joint fluids, which are also known as joint nutrient fluids. 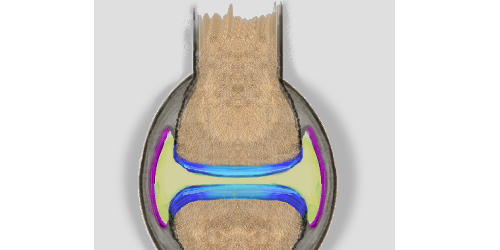 Joint fluids are produced during physical movement. In every stage of wound healing, properly measured movement and/or burdening help to stimulate the cartilage cells and facilitate healing. Targeted physical and training therapy optimize the wound healing process und support cartilage tissue regeneration. Close collaboration between the attending physician and physical therapists is of vital importance. Thus, the experts at ECOM® Excellent Center of Medicine develop an individualized rehabilitation concept in tandem with the attending therapists. With the overarching goal of returning patients back to accustomed sporting activity and daily doing as quickly as possible. 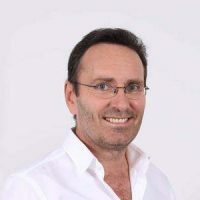 „Minimally-invasive, regenerative methods help to return patients to accustomed sporting activity and daily doing rapidly“. „Patients are often in a state of extreme distress. Targeted diagnostics and individualized therapy are the keys to successful treatment“. „Arthroscopy has revolutionized preservative hip surgery, and made new treatment methods for cartilage damage to the hip joint possible “. Do you have further questions to forms of therapy or treatment for acute or chronic cartilage injuries? 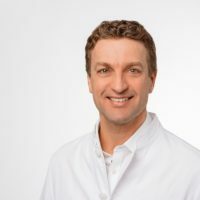 Our experts, Dr. Erich Rembeck, Dr. Alexander Rauch and Prof. Dr. Gollwitzer will be happy to provide you with comprehensive advice in a personal meeting. Please make an appointment here. We are looking forward to seeing you.